Men are simple creatures with few needs, wants, and desires. 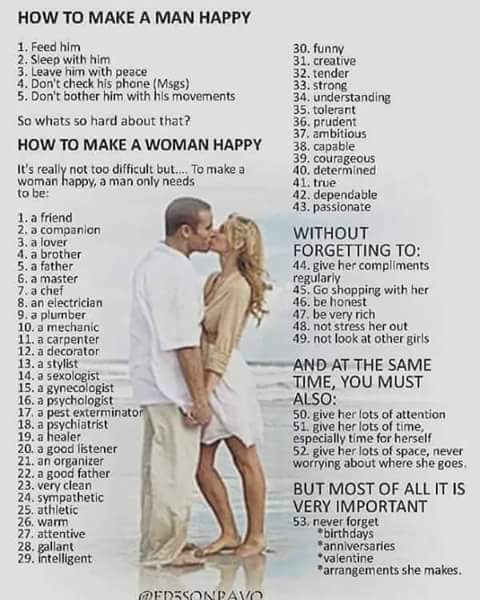 It shouldn’t be hard for a woman to make a man happy. Women, on the other hand are complex creatures who have a plethora of needs, wants, and desires. It is hard to make a woman happy because keeping track of everything they want, need, or desire is incredibly time-consuming. Men- Simple. Easy to deal with.